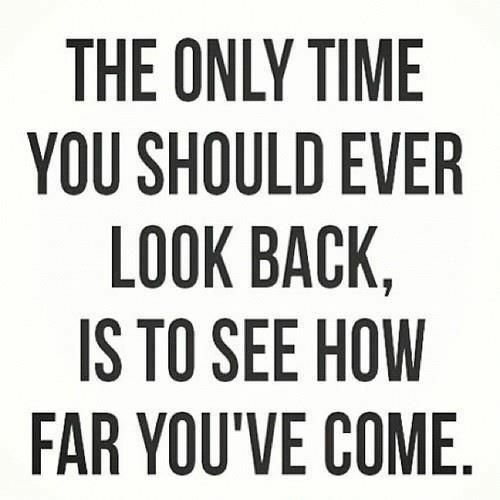 So, this is the last of my reflective posts, looking back at the past year of blogging and how I plan to move forwards. What’s missing though are some rather boring, but much needed basics: regular long sleeve and short sleeve tees (preferably plain, or striped); crew neck knits, and I really, really need to have a sort out of my sock & undies drawer… which will no doubt lead to a rather large clear out as well as a rather large expense… why do undies cost so much?! 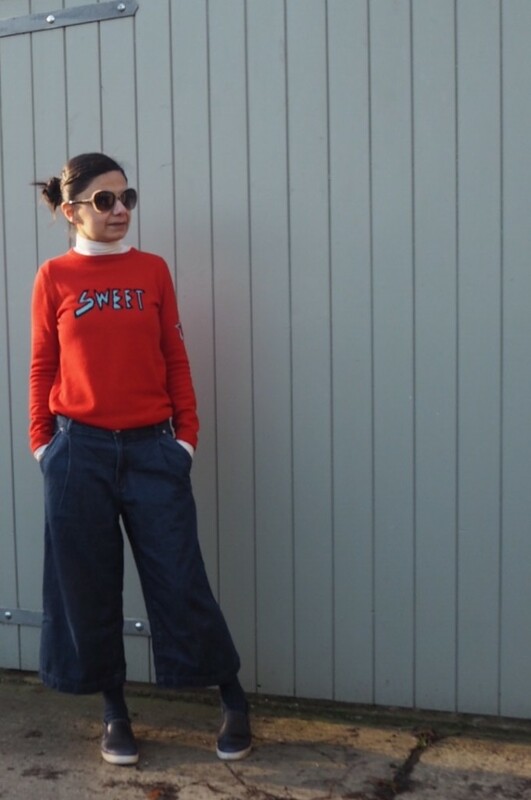 There will always be new clothes and so of course I will constantly be wanting ‘new’: like most of us… try as I might to go ‘minimal’ with all things in life, I’m clearly not a minimalist at heart! Today I’m going to try my utmost to keep it brief and talk about 3 things: small town dressing, the imminent updates to this blog and a couple of recent purchases which seem to have become my signature style. As I was drafting this post yesterday, I couldn’t quite find the words for this bit… so, as ever, at times of ‘bloggers block’ I had a quick scroll through Instagram and something caught my eye. 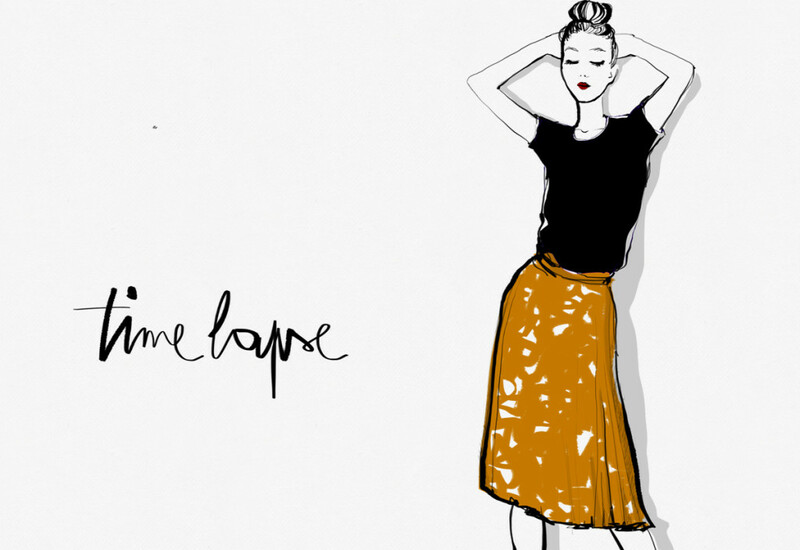 I follow the uber cool Garance Doré (who doesn’t?) who is of course, to die for stylish (French of course! 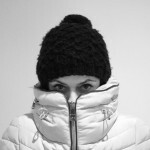 ), a photographer and a NY Times best selling author. She has recently upped sticks and moved from New York to L.A..
Clearly, I never lived in New York… it was London for me, for many years. And my Small Town in the shires (Salisbury) is hardly L.A. now, is it?! But her words are relevant to how (nearly) 7 years of small town living have changed me. I’m way more relaxed here in the shires than I ever was in London. Salisbury is often dubbed ‘Snails-bury’ for it’s slow pace of life. With the children – life is pretty easy: you get the school you want; you can get them into the clubs they want (no waiting lists; you can walk (or scoot!) pretty much everywhere and you know, life is easy. Rather, easier than when I lived in Tooting with my firstborn for the first 18 months of his life. And other things too, like going to the Post Office – there’s no one hour queue all.the.time.! Sure, there are busy times of day, but nothing like what I remember from living in a big city. Likewise, hospital appointments come through pretty quickly… and yet, when I first moved down here, I couldn’t quite acclimatise to this slower pace of life. In fact, I rushed everywhere and noticed very little of my new surroundings. The one thing I did notice when I first moved here was that there was a definite “mum style” going on with the ladies I saw walking around town. Shops were limited to a sub-standard M&S (full of all the crud); a White Stuff, a small New Look, Jigsaw’s little sister Kew (remember Kew?! ), Laura Ashley, Phase Eight, and a properly ropey BHS. Most of these stores I couldn’t shop in as their sizing (even the 6’s should they actually do a 6) are too big for me, so shopping was pretty uninspiring. And you know, because it is so small here, you’d see the same White Stuff Tops, Kew Cardi’s etc on every second woman. And if they weren’t wearing items from our limited shopping here, then they seemed to be in an explosion of Boden prints because Boden were rather cleverly the one online retailer back then who pretty much always offered free returns. It used to drive me a bit bonkers. I felt like most of my clothes made me stick out like a sore thumb and so I toned my style down and started dressing for living in a small town, even if the style wasn’t really me. However, things have really, really changed in the past 7 years. Or perhaps I finally opened my eyes, and realised not everyone *is* as mum-sy I as I had first perceived. Whilst we’ve lost a couple of shops, we now have a Topshop, HM and a massive New Look. But more than that, the ease with which we can shop online (or in other words, the free returns help!) there has been a shift in how I see people dressing. Perhaps it was always that way, and it took me all this time to actually see it? Starting this blog was a way of helping me remember who I am right now… not who I was before kids, after kids… just to be myself. And to remember to not give a toss if I get funny looks because I’m wearing lairy gold boots round the fruit & veg stalls of the Tuesday market in the middle of the day. 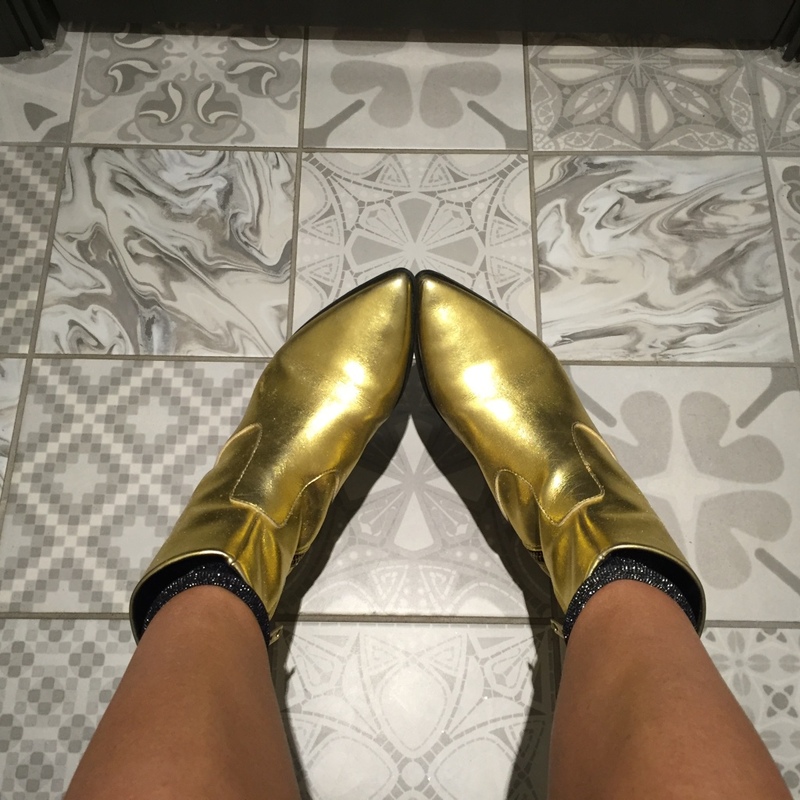 Love my blingy boots! Really bad, patchy fake tan here – oops! That old “I couldn’t wear THAT where I live…” or “well you could only get away with wearing that in London…” is proper old tosh. You can wear what you want, where ever you live as long as you feel comfortable and good in it. It was in my own head… and I couldn’t feel happier about shaking those thoughts off. I’m back to being me. I’ve probably droned on enough about how this blog was set-up as a knee jerk reaction without much planning or thought. The blog set-up is a basic wordpress template / theme and Mr T knocked up a logo for me in 10 minutes flat one evening with no thought about colour schemes or branding or anything and off I went. There are no affiliate links in this blog – or in other words, I haven’t made a single penny from blogging this past year. 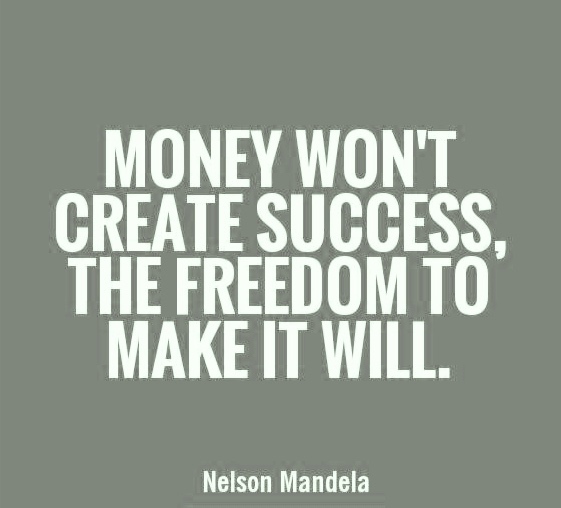 Money was never the primary motivation. However, having reached the one year marker, I’ve really had to think about whether or not I should push forward and try and make some kind of living out of this? Seriously, I know how lucky I am to have Mr T helping out with the tech side of things, but I had assumed the changes I wanted were small. Apparently not… so, hopefully, in and around all of his other work he will be squeezing in a new website for me… I will have to be patient, but possibly by the end of April, early May, I will have a slightly more jazzy looking blog. #watchthisspace! And what about the monetisation bit? You sign up to an affiliate scheme where by if a reader clicks on a link you have in your blog & then makes a purchase, you, the blogger, get a small commission, or kick-back. Given the traffic to my blog, though growing, isn’t huge… I won’t be retiring to a beach house in Antigua any time soon. In fact, in all honestly, I’d be lucky to get into a double figured monthly income of a tenner or so! That said, every little helps, right? What I don’t plan to do, is have masses of advertising or anything that I don’t like coming across myself on a blog. Seriously though, you won’t notice too much of a difference other than my new jazzy site which the husband is making for me and I will still be blogging about mostly high street fashions with a smattering of the odd boutique purchases which I treat myself to once every blue moon. And I think we all know by now, that the blogging world has changed where by you have bloggers like me, then much bigger-bloggers, now called ‘Influencers’ who often collaborate with brands and that of course is how you’d make a proper living out of this game. I cannot imagine for a single moment that any brand should wish to collaborate with me. How to put it politely? I’m a bit too niche, aren’t I?! Ha! Anyway, I haven’t made these changes yet, but I will of course be completely transparent with you all once the changes have been implemented. Since buying a pair of culottes from Warehouse last Spring… I can’t get enough of them. Yes, it’s the wide leg crop, or culotte! They are my go-to item I reach for, weather permitting. I absolutely love wearing them. Aside from the Zara culottes which are more an ‘awkward length’ trouser on me, I did have to take the other two up myself. Crops do ride up when you sit! I really like the awkward length & frayed hem! Here I’m wearing my crops with an old warehouse turtle neck sweater and these HM babouche slip-ons. 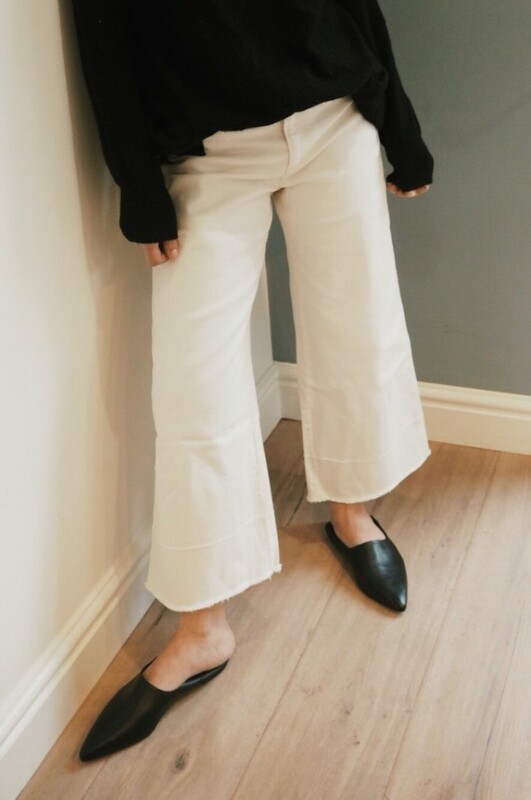 If you’re wondering what shoes to go for with a wide leg crop, I find whilst I usually reach for trainers in the cooler months, pretty much any footwear goes: flip-flops to ankle boots; flatform to flat sandals: a granny heeled glove shoe to wooden clogs… whatever takes your fancy. For sizing reference, these are a GAP Petite size 4 (available in regular and tall lengths as well). 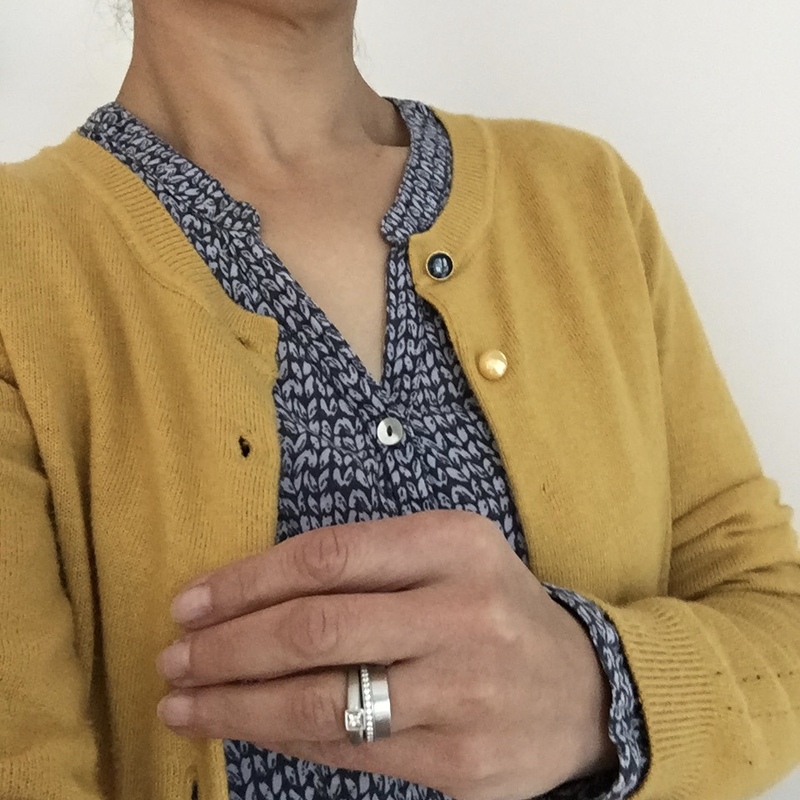 I am normally a 2 in Gap, but the reviews all warned to size up as they are higher-waisted /sit on your true waist, and I think that’s probably good advice. The Off-white pair are a fraction (and I do mean a teensy fraction) looser than the khaki pair, and I wonder if that’s perhaps because the fabric had less dying /processing? For the first time in my life, an item of clothing has over-taken jeans as my favourite clothing item. And although I will of course still always love jeans and will no doubt wear them lots of course, I’m just giving you some advance warning now: expect to see a lot more of these crops! That’s me done for tonight, and thank you for reading my recent self-indulgent series of posts. I do plan to get braver in the coming months with more focus on petites and styling generally… things I’ve touched on but ultimately shied away from as well, probably because I’ve not felt confident or daring enough, but since writing the Sunday 7 posts and styling the wildcard item with 3 looks, I think I’m slowly building my confidence up in sharing more of myself. 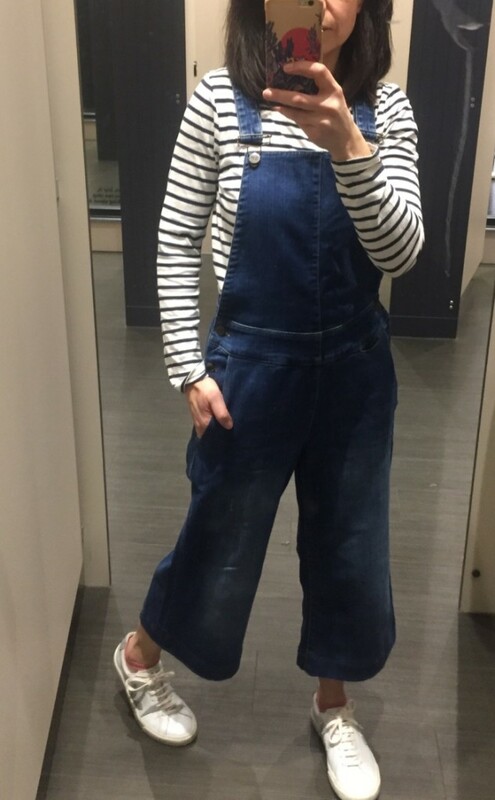 That said, I’m no stylist, or fashion journalist… I’m just a very regular stay at home mum who loves fashion. So, I won’t be pretending to be anything different, fear not! Back to usual next week… though honestly, I’m not sure my mid-week posts have ever had a running theme! Would love to hear if you’re already culotting and if not… have I chipped away at you enough yet to convert you?! Hi It’s me again. I love your posts. Firstly The affiliate link part made me giggle. I signed up with one myself and as my blogs more lifestyle and not fashion orinrated I’ve made … wait for it …. £8.05 in 4 months! I only work part time and I’m having the sane dilemma I love blogging but I need to start making a little bit of money. Secondly I love your outfit and shoes. I have some culottes but I don’t think they’re long enough and don’t look rights think they’ll be on eBay shortly. Firstly, the Gap crops look fab on you. On me, not so much. I think on first try, I thought they were so hilarious that I put them back in the bag and haven’t bothered to look at them again. However I did order a couple of other pairs to try and I think I have a goer amongst them all. 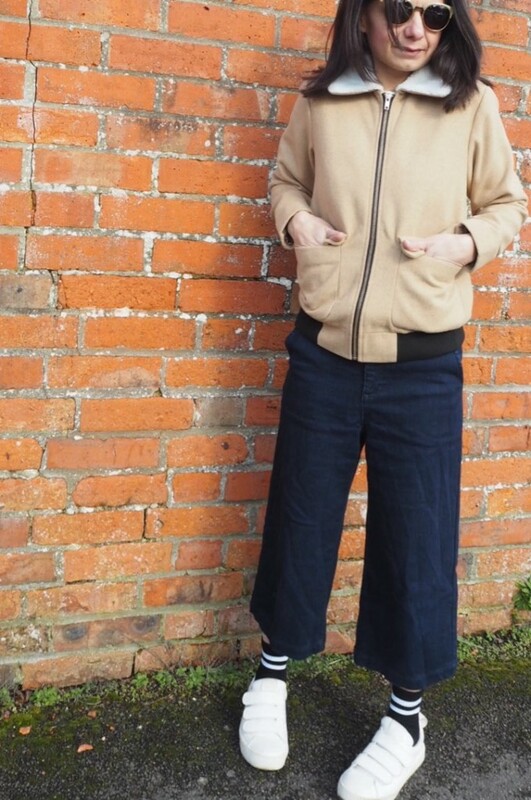 But I’m with you, although I probably shouldn’t wear culottes, I love them and they are probably a bit of a go to in the warmer months. Thanks Sue! The crops are a fraction long but I can’t be bothered with the taking up or trimming so I’ll be keeping them as they are. No pockets is a bit annoying but then, there’s a cleaner line/fit. Good to know you’ve found something which works for you: look forward to seeing them soon.